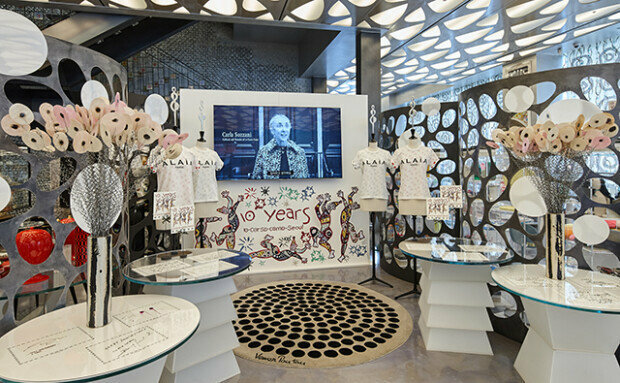 10 Corso Como in Seoul marks 10th anniversary. March. 29, 2018 08:12. by Eun-Seo Park clue@donga.com. Samsung C&T Corporation's Fashion Group said Wednesday that it will hold an event celebrating the 10th anniversary of the domestic launch of the 10 Corso Como concept store. 10 Corso Como is a shopping and dining complex that was founded by Italian fashion journalist Carla Sozzani in Milan, Italy. The complex combines art, fashion, music, food and design. Samsung C&T Corporation's Fashion Group opened a flagship store in 2008 in Cheongdam-dong in southern Seoul as the first store outside of Milan. To mark the 10th anniversary, a special exhibition will be held on the 10th floor of the Cheongdam-dong store. Dubbed "A Tribute to Azzedine Alaïa," the exhibition is dedicated to the Tunisian-born fashion designer who died in November last year, showcasing his fashion collection and showing a mini-documentary on his life. The event also features goods created in collaboration with 10 brands, including Converse and Gentle Monster.